If I were to liken storytelling to the theory of evolution, Neanderthals would be those ancient Egyptian hieroglyphics, Cro-Magnons can be Gutenburg’s printing press and the Modern men are definitely blogging. My job today is neither to focus on the discourses surrounding the origins of humans, nor to substantiate mutation of certain species simply evolving into another. But evolution in this context thus refers to the advent of new and better world of mass media with blogs turning it on its head. AT some point in my previous learning back home I have encountered the name Johannes Gutenburg— whose name may not immediately ring a bell to you especially to the later generation but journalism or communication students simply know him, I am sure, as the man who invented the printing press! As easy as setting up a blog account at WordPress or Blogger, you can see a great difference when the price of publishing is practically nothing as long as you have three things; a computer, an Internet connection and an exciting literary concoction, then voilà! You are now your own publisher. Just like you and me, I am well-fascinated by the sudden community that sprung up and ever since the bandwagon jumping began even to corporations. Now corporations either used blogs externally for the purposes of branding, public relations or marketing which take the name of corporate blogs, or internally to enhance the communication and culture within them. The rapid growth of blogs spread like a wildfire as an indispensable tool in practically most clubs, societies and events. 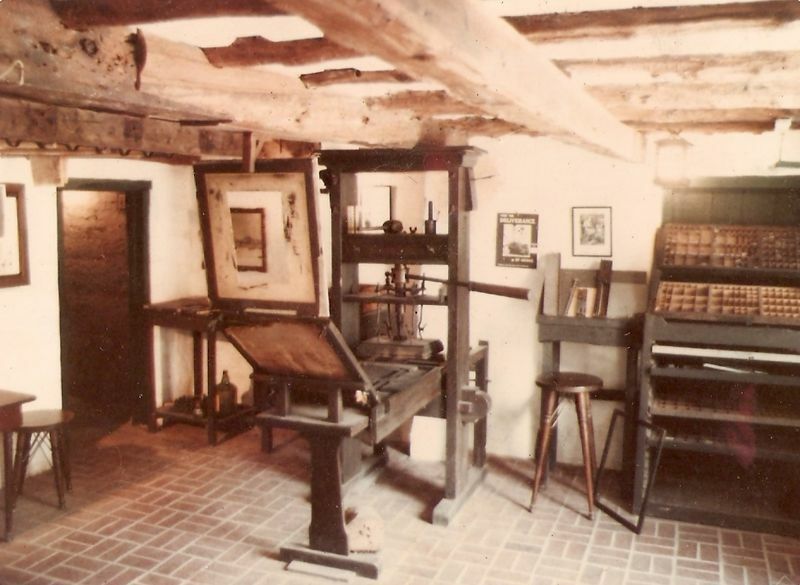 CLEARLY, I for one am a believer of Johannes Gutenburg with his printing press—an idea of intelligent design that paved the way to the boom of publishing, and what later became as the start of information revolution. 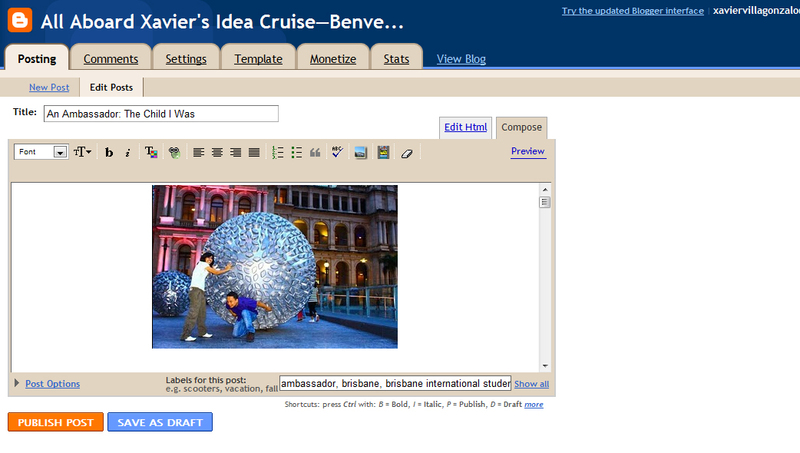 Now another revolution made even better—BLOGGING in the Entreprise! So there is NO reason why the event on my previous post—the 34th International Geoscience Congress—would not benefit from a blog. Primarily a blog can be used too as an interactive and collaborative bulletin board benefitting stakeholders ranging from prospective registrants up to the organizing committee level. Well to start with, one can always choose to sign-up for premium subscriptions to open source blogging tools and publishing platforms like WordPress and Blogger. Or even to the more tech savvy individuals or corporations—small and large scale alike—who would want to go beyond learning or hiring someone respectively to get a bespoke interface built on sophisticated content management systems and web application frameworks like Drupal and Ruby on Rails. But for those people who like a less complicated life, like me, I would go anywhere for FREE and what’s more is that they have built-in features, including a plug-in architecture, and a ready-made template system. You know what I’m talking about, yes, WordPress (learning and loving it) and Blogger (by Google)! ■ WordPress provides a free online blogging service for the users who do not have a server or do not set up a server. In addition, WordPress also provides an open resource blog program which allows users to build blogs on their own servers. Below is my own dashboard which allows me to post and modify entries so I can deliver right on your computer screens. One main feature of WordPress blog is its multi-authoring functionality which allows several authors to manage one blog, just perfect, so if we take the 34th IGC event for case study purposes, members of the organizing committee can access, modify changes and answer enquiries from those attending the Congress. 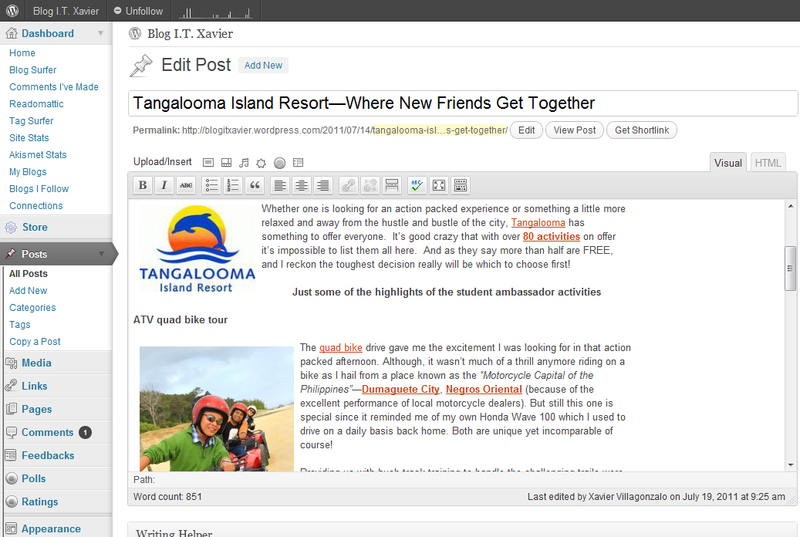 In addition, WordPress blog provides ‘Pages’ function. For example, an ‘about’ page provides the author to make an introduction of one’s self or business, and the same can add more pages if need be. However, not most blogging tools provide similar function though. Yet it also offers an eclectic range of themes and page arrangement for authors. ■ Blogger, on the other hand, is Google-owned and its main feature is that it syncs in with your Gmail account; hence, a Gmail user can automatically own a blog. Blogger, as you can see on my dashboard, also has a crisp layout yet with a rather simple and clear interface. It, too, provides themes and handy page arrangement for authors. WordPress and Blogger are both FREE and very easy to use. However, what sets WordPress apart—at least for me—is that it provides more functions than Blogger, like on the ratings and polls. In addition, WordPress provides blog analytics to show the traffic and trends of visitors. While WordPress only has the limited authority level for modifying page themes (only to premium account users), Blogger themes, on the other hand, can be modified using CSS as the authors wish. Great Blog Xavier you made me feel like start writing a blog straightaway. Even I am not really a good writer I feel like start doing it. Probably I m going to open WorldPress account. Oh thank you very much Raphi! I’m sure you’ll do good in your writing as well. Let me know how you’d go with starting your first blog post if you haven’t started. I would be happy to assist you if you experience some difficulties with the interface. But I know WordPress has an intuitive set up for their settings but just in case you need something, don’t hesitate to post your questions here. Oh thanks Ckaren, Looking forward with excitement to seeing your posts, holler me if you need some technical assistance. I remember my first time using platforms like this seemed confusing at first but fun follows after. Hahaha… Nice question. I always find myself writing a lot as it allows me to store whatever things I learn along the way. Your book review about a Bob Ong story was pretty interesting too. I could just imagine the horror reading a book like that when you’re alone at home. I haven’t looked into that one yet as I do not have a Tumblr account but it would be nice to try other blogging tools to get a different ‘Evolution to the Entreprise’ experience. Reading blogs are surely fun, it is informative and addictive. I remember having accounts in WordPress and Blogger however I find Tumblr most useful among all the platforms in blogging ’cause I am not a serious blogger myself. I also use Twitter for my quick and random ideas and insights. I think it depends on the person’s personality which tool he/she is gonna use to make the most out of the blogging experience. Good entry Xavier, I love dropping by to your blog. You are one talented writer. P.S. I’m not quite sure if you can do this to Blogger and WordPress, but here’s a reason why I love Tumblr because I can do this http://tinyurl.com/3wmya56. That one for sure looks exciting. However, I do not have a Tumbler account though but it looks like a good blogging tool as well. And about that ‘ala’ slideshow you got there, it’s pretty cool! Thanks for dropping by Karen & the compliment! Thanks, I appreciate your dropping by. I find formatting pretty–and important. Never thought about blogging… i just might now!